For this project we were asked to choose a local non-profit and give it a brand refresh. 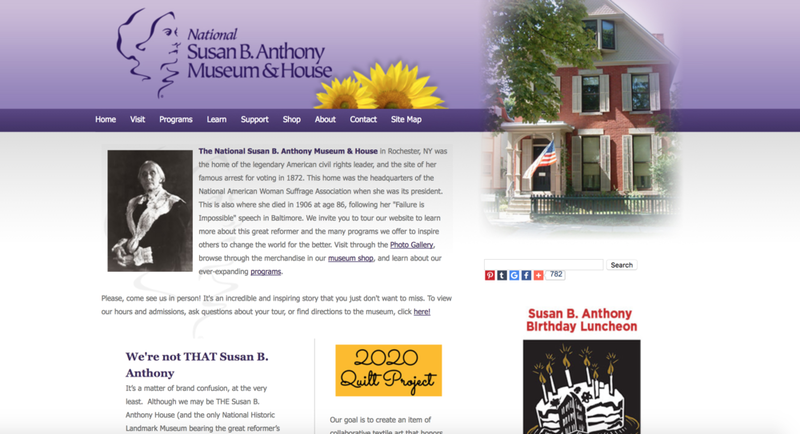 Due to my love of history and museums, I chose the restored home of Susan B. Anthony in downtown Rochester. The current branding, although recently designed, did little to captivate the strength and sophistication of this incredible woman. I wanted to create a visual brand that would embody who she was and the role she played in forever changing the lives of women in the United States.